This agricultural processing facility is located on 12 acres of former Waialua Sugar Company sugar cane fields adjacent to a small spring-fed stream. The 3,200 sf facility produces traditional handcrafted imo (sweet potato) shochu, a distilled alcohol produced mainly in Kagoshima prefecture in southern Japan. Imo is considered a legacy crop of the ancient Hawaiians, one of the food staples brought to Hawaii by the original Polynesian settlers, and the volcanic soils of Hawaii produce a potato similar in quality to those grown in the volcanic soils of Kagoshima. During the sugar plantation era of Hawaii, small home distillation systems to produce shochu were common among residents of plantation camps. 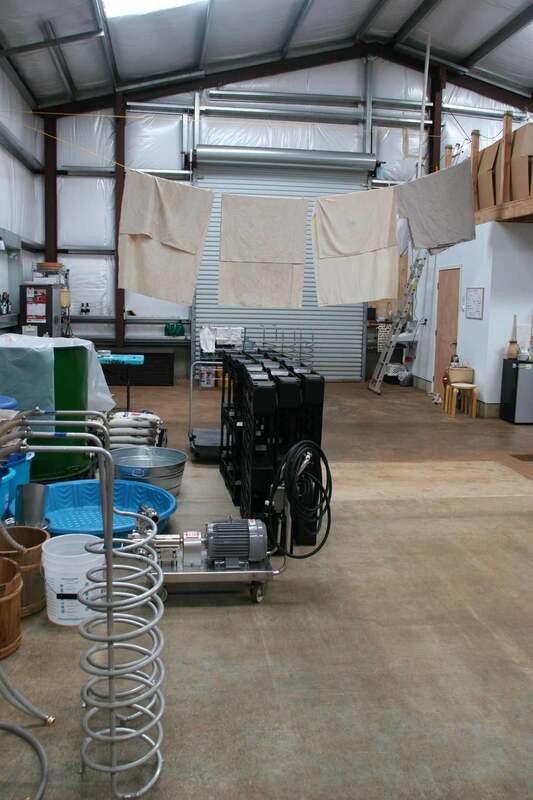 This boutique distillery uses imo grown both on site as well as from neighboring North Shore farms, and recycles its green waste products by providing livestock farmers in the area with desirable feed supplements. In fitting with the goal of diversified agricultural uses on the North Shore, the long term plans of the distillery include opening it to ag/eco visitors as well as finding other uses for the sweet potato.